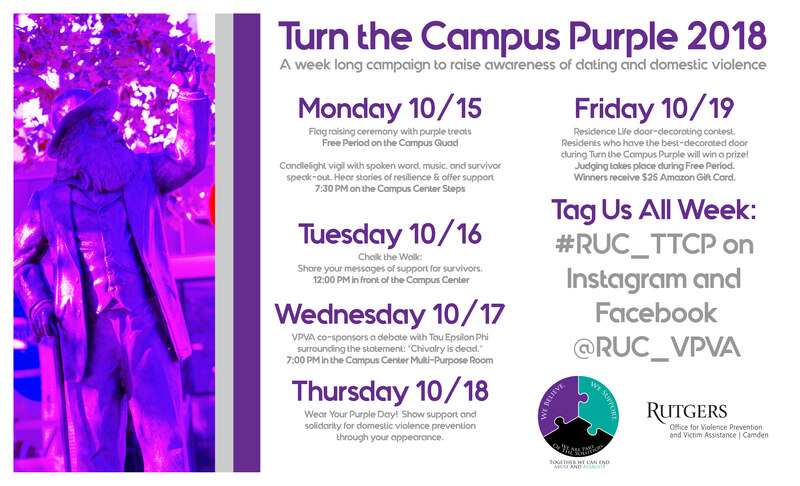 Turn the Campus Purple is annual week- long awareness campaign to observe Domestic Violence Awareness Month (DVAM). It is a way to connect the student-body; survivors, organizations and faculty & staff to the common purpose of raising awareness and support around dating violence. § speak out about dating violence and other forms of interpersonal violence. For more information about the Turn the Campus Purple campaign, click here.